For more images, see my main photo site Clobber Photography, including a photography gallery. This photo, 'Off to Market', won second prize in the October 2008 Travellerspoint 'Images of Rural Life' competition. 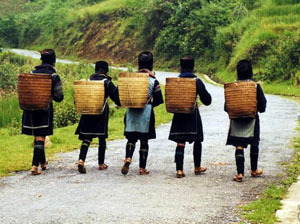 The photo was taken in Sapa, Vietnam in 2000. 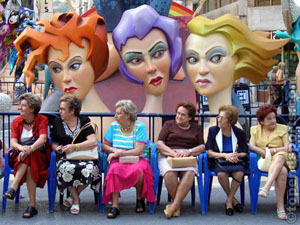 This photo, 'Spanish Ladies', was awarded second prize in the 2007 Travellerspoint Calendar competition. Photo taken in Alicante, Spain in 2005. 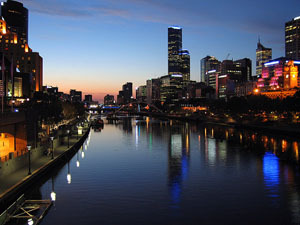 This photo, 'Yarra River', won second prize in the September 2008 Travellerspoint 'Urban' competition. Photo taken in Melbourne in 2007. 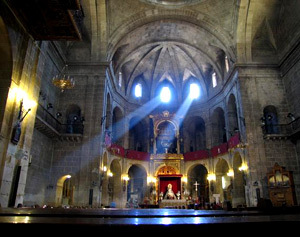 Light streaming through the windows of a church in Barcelona, Spain. Taken during our round-the-world trip in 2005. 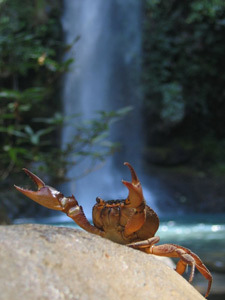 This photo, 'Wet Crab', was third in the June 2009 Travellerspoint 'Animals' competition. Photo taken in Costa Rica in 2005. 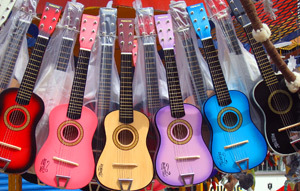 This photo, 'Guitar Rainbow', was a finalist in the 2007 Travellerspoint Calendar competition. Photo taken in Tijuana, Mexico in 2005. 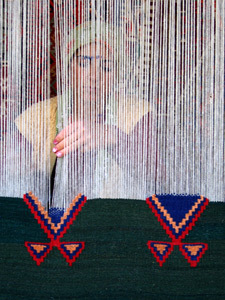 This photo, 'Turkish Weaver', was third in the November 2009 Travellerspoint 'Traditions' competition. Photo taken in Turkey in 2005. 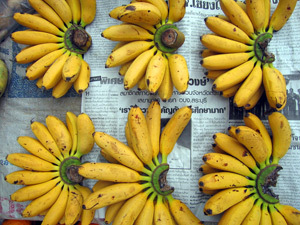 This photo, 'Market Bananas', was seventh in the March 2008 Travellerspoint Food and Travel' competition. The photo was taken at a street market in Luang Prabang in Laos in 2005. Finalist on December 2007 Digital Photography "Festivals" Competition from TrustedReviews.com. 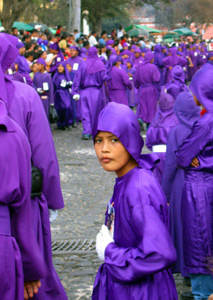 Photo taken during the Easter celebrations in Antigua, Guatemala in early 2005. Finalist in December 2007 Digital Photography "Rural Landscapes" Competition from TrustedReviews.com. The reviewer said: "If we had a runner-up prize this month then Rob Wood from Fitzroy North in Victoria, Australia would have won it with this superb early morning shot. He's taken the traditional theme of trees reflected in water and added an imaginative composition and careful exposure revealing the leaves suspended in the water in the foreground. This is another of my personal favourites." 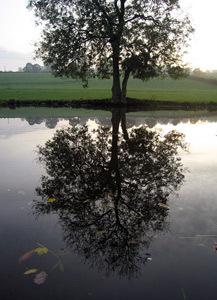 Photo taken along a canal in Bradford, Yorkshire, England in 2005.